I was born with three fingers on my right hand, two fingers on my left hand, no left elbow and a right club foot. Over the years, to me, other things became more noticeable; such as the fact I could never grow a right calf muscle (skinniest right calf in history) and that my left leg was growing faster than my right leg. At one stage the difference was seven centimetres before a major leg lengthening surgery. I have always had a positive attitude and it never really affected me growing up. My awesome friends and family were very supportive and instilled that positive attitude in me. I’m a sports nut and always have been. I used to love going to footy training with Dad and having a kick, or going to tennis with Mum on a Saturday in the summer months, and playing with friends. I’d say the best thing my family could have ever done was not treat me any differently. Both my Mum and Dad pushed me to be determined and go out and compete with the rest of the kids. They kept telling me there was no reason I couldn’t win. My friends were quite sports orientated. Every day after school we would end up at my friends families’ properties, where anywhere from four to twelve kids would be playing football, cricket, basketball and other activities until dark. There was a lot of natural talent out in the backyard back in the days; four of the boys ended up on an AFL list and played professionally. I guess the bonus for me was that, whilst my disability affected me to a point, I was still able to go out and compete in sports against my mates and beat most of them! Ha ha! Between the ages of 11 and 13 I had to have a fair bit of surgery on my right leg. I was experiencing a lot of pain trying to play competitive sports. I noticed kids started getting a lot faster and better than me in sport, and I wasn’t keeping up with everybody – that was probably more frustrating. I missed out on playing in a few things with mates due to the surgery. The school was great though. Whenever I had to have surgery, they would make things easier for me and still have me involved in everything. I never ever felt left out. Although there was a stage where my Year Five teacher had to lock me in the classroom at lunch and recess as I was in the middle of my leg lengthening operation and I was still trying to go out and play footy, with metal frame and pins all through my leg, and got cleaned up by one of the boys! I couldn’t hit the ball with much elevation. 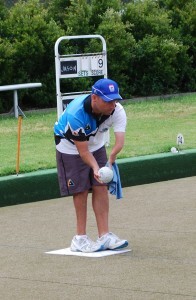 So then I tried Lawn Bowls. As my grandfather played, I went with my Pop to try it out and then heard there was a school side team. 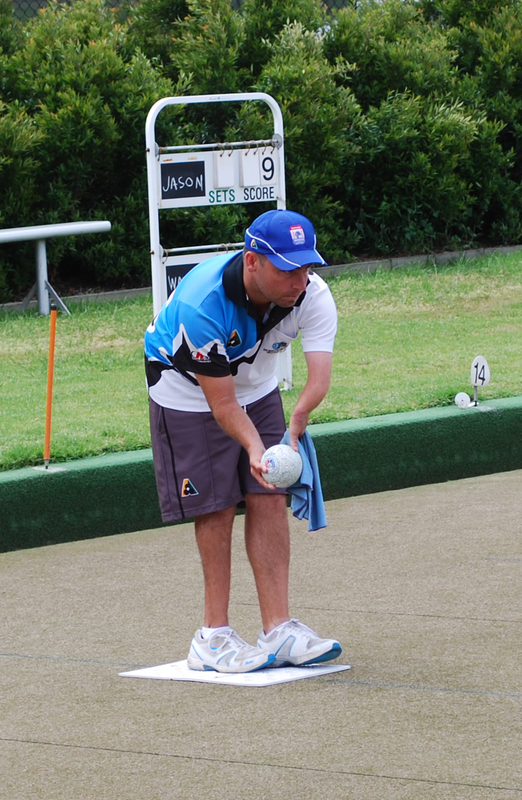 I decided to try out for the school team and thought that, lawn bowls being an older persons’ sport (so stereotypical and wrong!) and the fact that I had had a couple of goes, I would make the side. I didn’t and that was the driving factor for me to keep playing and improve to make the school side the next year. After three years of being involved in the game I started to improve and that’s when my hard work started to pay off. My achievements included: Victorian Under 19’s Singles Championship; representing Victoria at Under 18’s level over 20 times; Runner-up in the Victorian Under 30’s Singles Title; and, 3rd in the Victorian State Pair.